Heading to the park for a big team workout? Got your resistance bands, battling ropes, and boombox to carry? 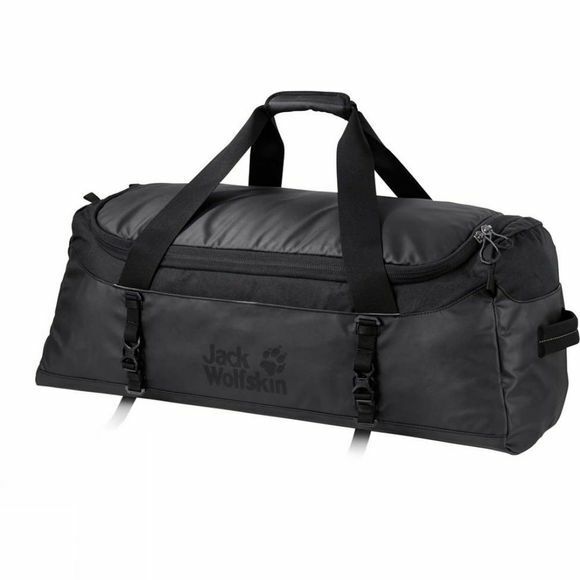 The Gravity 60 Bag from Jack Wolfskin is a large sports bag with enough room for your entire arsenal of sports equipment.This sports bag was specifically designed for fitness trainers and anyone else who has lots of training kit to transport. It has variable partitions inside for at-a-glance packing and retrieval of your kit. The variable partitioning allows you to organise your kit efficiently. You can customise the stow space to suit your requirements. Or shove the partitions to one side and forget about them. And you can access your kit easily via the large zip-secured opening. 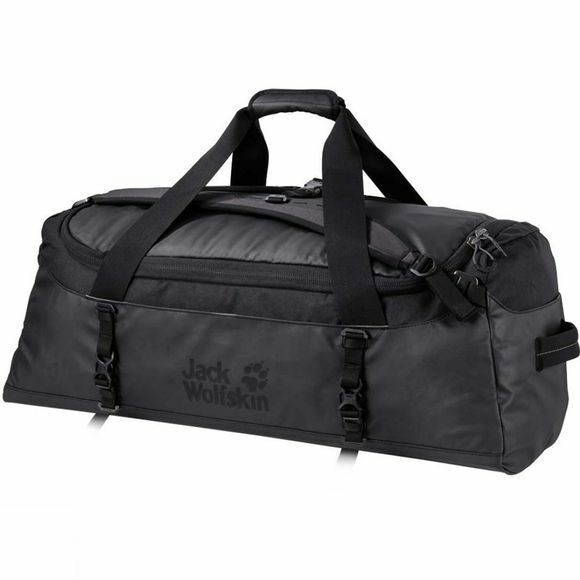 There is space for your valuables and small items in the side pocket.The Gravity 60 also makes a great gym bag. It has lashing straps at the sides to attach your yoga mat or other equipment. And if you like to ride your bike to your training sessions, you'll appreciate the shoulder straps. Simply pull them out and you can carry the bag like a backpack.